Ritchie, M. & Wordsworth, J. 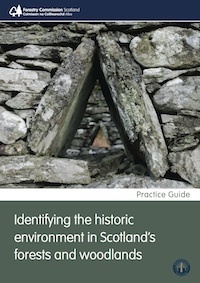 This practice guide aims to help forestry and woodland managers when considering the archaeology and historic environment in their stewardship. It provides an accessible introduction to exploring 'archaeology in the field', illustrating and describing many of the more common archaeological features. Authors: - Ritchie, M. & Wordsworth, J.